An animal shelter in Florida has announced a new policy bringing about an end to dog discrimination which prevents countless pets from finding a new home simply because of the stigma surrounding their breed. Orange County Animal Shelter will now only identify dogs available for adoption based on their color and gender -- letting the animals' real personalities shine through unclouded by negative stereotypes. Many of the 20,000 animals taken in by the shelter each year had been described as "pit bulls" based on nothing more than appearance -- and for many, that label was essentially marking them for their end. "It's causing the death of a lot of animals that are thought to be dangerous," says Deborah J. Turner, chair of Orange's Animal Services Advisory Board. It's also likely that many of the dogs disadvantaged by the "pit bull" label were actually other types entirely. Determining the makeup of mix-breed dogs from their look alone isn't only detrimental to dogs, it's unscientific. An online study involving nearly 6,000 breeders, trainers and vets found that they were only able to identify the correct breed of dogs 27 percent of the time -- a poor statistic with serious consequences. 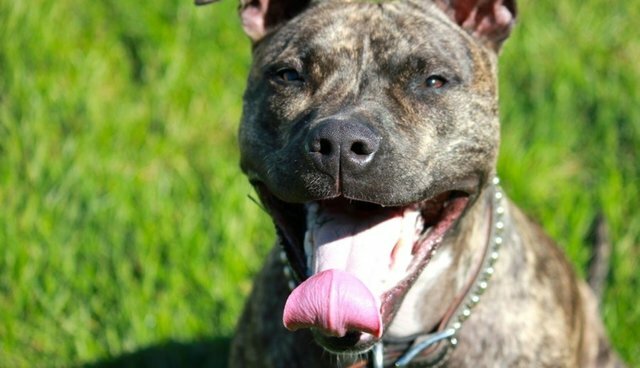 "Just calling a dog a pit bull may not allow it to be adopted," researcher Julie Levy tells the Orlando Sentinel. "It can turn into a life-threatening problem [for the dogs]." Ken Foster, author of The Dogs Who Found Me and a contributor to The Dodo, writes about rescuing a dog identified as a "pit bull" from being put down at an animal shelter, only to discover years later that it was actually a Bullmastiff/hound mix. That experience, he says, helped to show just how insignificant such labels are compared to the animal's real selves. "Too often we let our ideas of breed get in the way of evaluating and appreciating dogs as individuals. When people ask me why I love pit bulls, much of what I say -- they are affectionate, funny, intelligent, more human than other dogs -- are naturally what every dog lover says about their dog, regardless of breed." If Orange County Animal Shelter's new policy proves successful in increasing adoption rates, it could spark a trend changing how animals are identified in facilities across the country. Center for Shelter Dogs director Dr. Amy Marder supports changing the terminology used to describe dogs at adoption centers, suggesting that homeless pets of mixed breeds be classified as simply as "American shelter dogs" -- shifting the focus away from often erroneous and stigmatized breed labels, ending the dangerous practice of discrimination that leads to the deaths of thousands of animals every year. "This new approach will enhance understanding and appreciation of dogs and will benefit both dogs and owners alike," says Marder.